Ogaki Amity is full of smiling students, who enjoy our fun but educational lessons. We have a variety of courses and curricula to help your children in their English studies, taught by our devoted and brilliant teachers who specialize in teaching English to children. We have fun classes starting from babies up to high school students. Please come on by Ogaki Amity and see for yourself! Our cheerful and dedicated staff look forward to meeting you. We are happy to answer any questions regarding lessons and tests. We have lots of classes for babys and pre-schooolers with Japanese teachers and foreign teachers. In the interactive course, you can improve your vocabulary, listening skill and conprehension skill. We will start new lessons called 『i Lesson』. Watch,touch,feel,and you can enjoy a fun lesson. 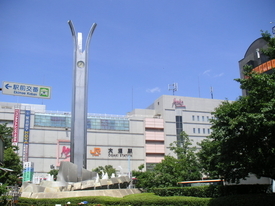 Ogaki Amity is located near the station, a library and a community center. We have eight classrooms and one computer room. 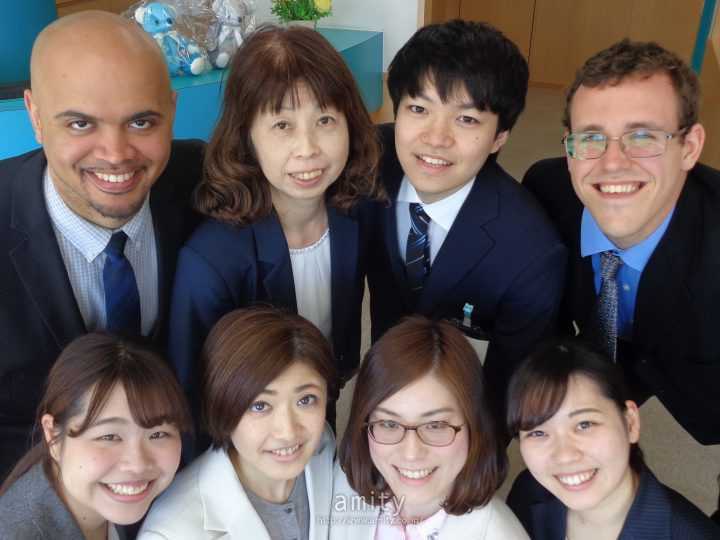 Suitopia center is a place where you can go to learn Japanese from volunteer teachers. It is just a few minutes walk from Ogaki Amity. Ogaki castle is one of the historical castles in Gifu - it was built in 1535. It is only 15 minutes walk from Ogaki Amity.